Basketball legend Kobe Bryant has been asked to step down from a judges’ panel for an animated film festival set to begin in Los Angeles this weekend. An online petition that called for Bryant’s ouster from the panel cited a sexual-assault allegation he faced in 2003. The charges in that case were dropped after Bryant’s accuser decided not to testify. 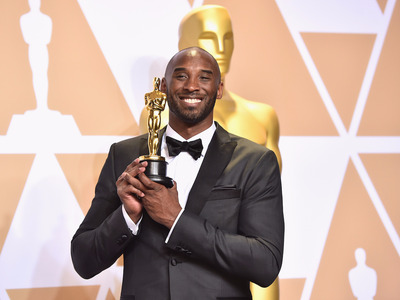 Bryant was the target of similar criticism after he won an Academy Award earlier this year for the animated short film “Dear Basketball,” which was adapted from a poem Bryant wrote as part of his farewell message to the NBA. Basketball legend Kobe Bryant has been asked to step down from a judges’ panel for an animated film festival set to begin in Los Angeles this weekend, the Los Angeles Times reported on Wednesday. An online petition that called for Bryant’s ouster from the panel cited a sexual assault allegation he faced in 2003. The charges in that case were dropped after Bryant’s accuser decided not to testify. Bryant won an Academy Award earlier this year for the animated short film “Dear Basketball,” which was adapted from a poem Bryant wrote as part of his farewell message to the NBA.In a statement to Variety on Wednesday, Bryant said he was “disappointed” by the decision. “This decision further motivates me and my commitment to building a studio that focuses on diversity and inclusion in storytelling for the animation industry,” Bryant said. Festival creator Eric Beckman said Bryant’s exclusion was meant to keep the attention around the event focused on the accomplishments of its participants. “We are a young organisation and it is important to keep our collective energies focused on the films, the participating filmmakers, and our festival attendees,” Beckman said. Bryant wrapped up his NBA career in 2016 with five championship wins under his belt with the Lakers.